and you have а basic programming experience with Android. The initial page of your web application makes a request to the server to generate a QR code. A custom API service generates a QR code with an encoded unique value. In this case that value is a name of a Backendless messaging channel. The service returns the QR code and the name of the channel channelName to the web app. The web app downloads the generated QR code and displays it on the web page. Then the web app connects to the messaging channel and waits for a message. The message will be sent by the Android app later (step 5). 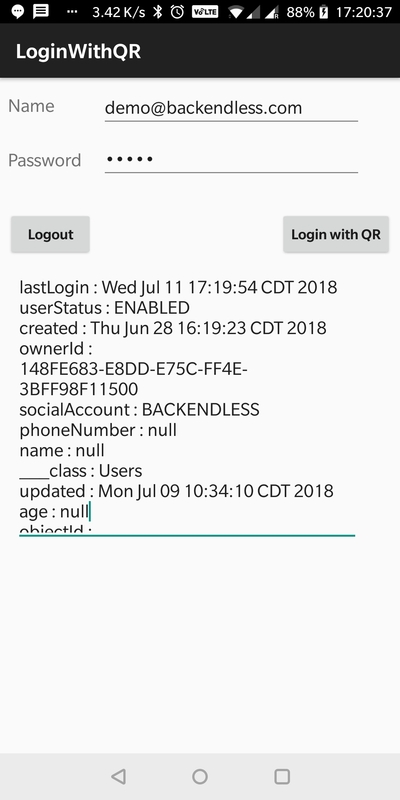 On the Android app a user logs in to Backendless with their user name and password. As a result of the login, the Android app receives userToken, which uniquely identifies the user and his/her session. 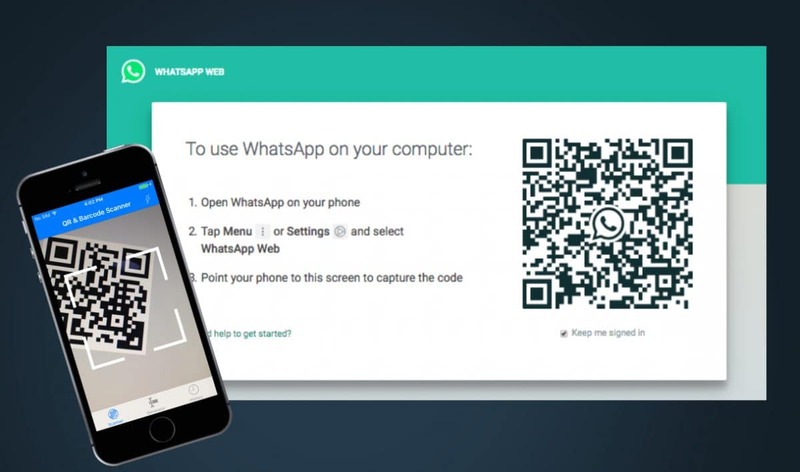 The user using the same Android app scans the QR code from the web page screen, receives the messaging channel and sends the userToken into the channel. The web application receives the message which contains userToken. The token can be used for the API calls made in the web app as it now will carry user’s identity. Deploy the API service shown below into your Backendless app. The service is responsible for generating QR codes. Modify the Android app (from the zip archive) to add your APP ID and ANDROID API KEY which should be obtained from Backendless Console. Install the Barcode Scanner app on your phone. The app will be used by the Android project for scanning the QR code. Build the Android application with Android Studio and run it on your phone. 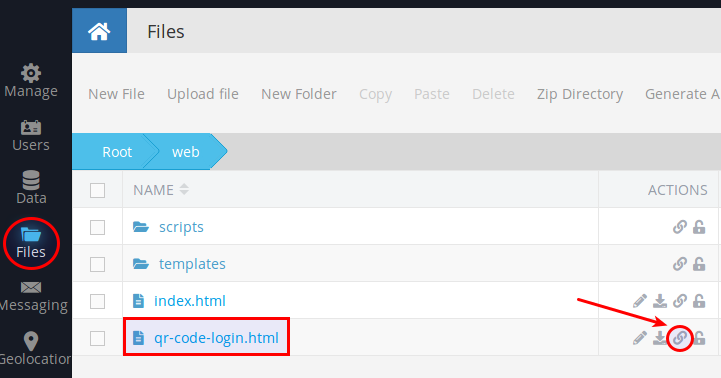 Modify the HTML file (also from the zip archive) for the web app qr-code-login.html to add your APP ID and JS API KEY. 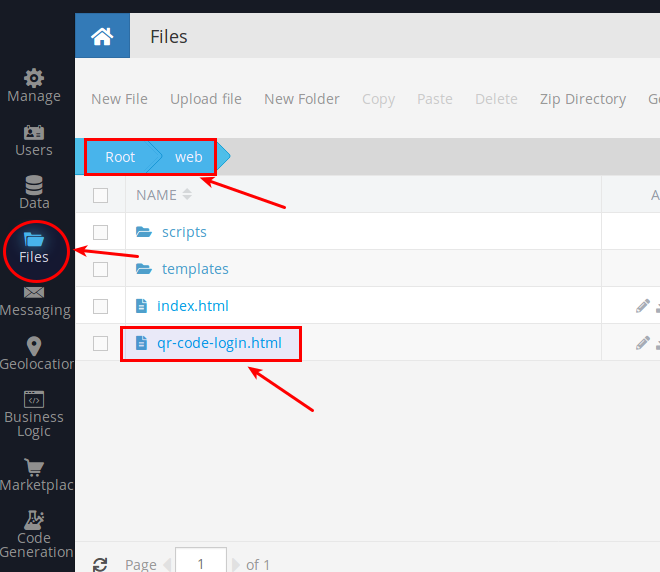 Copy the HTML file into the /web directory of your Backendless app. Let’s get down to the most interesting things. 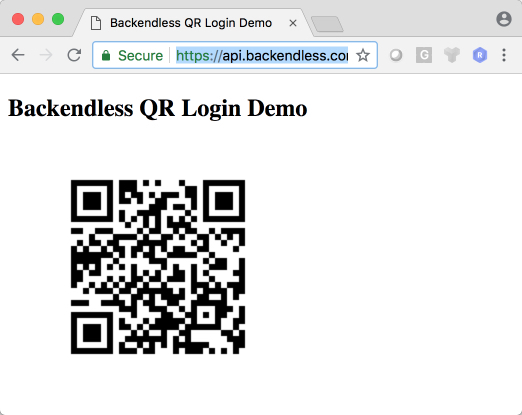 I based the implementation of this example on the code which was demonstrated in the How to generate a QR code with Backendless API Service article. I have changed the method generateQRCodePicture and created generateQRCodeForLogin. These methods will help us with creating QR codes. The method getUserId will be used to exchange userToken for the user’s objectId. You can see the changes below. Do not forget to change the package name (first line of the code). Then use CodeRunner to deploy the code to Backendless. Install the application for QR code scanning. I used the Barcode Scanner application. Here is the API for it. If you are not using the complete project code I shared at the beginning of this article, you would need to setup an Android project using Android Studio. Alternatively, you could use the project archive mentioned above. Do not forget to add the INTERNET permission in the Android manifest file. Open/paste the link in a web browser and press the “Login with a QR code” button. The web app fetches a QR code from the server and displays it. Use the Android application to login with your userid and password (make sure to create a user in your Backendless application). Once you log in, you will see the “Login with QR” button. Click the button to scan the QR code in the web app. Your web application should log in automatically as soon as you scan the QR code in the Android app. Hope you enjoyed this article. Happy coding!